I am Interested in any information that may be out there on a car I am restoring. The car is the Prototype Alexander Turner GT Coupe raced in 61/62 by Wing Commander K.W Mackenzie , and later by Peter J Smith , Malcolm Sutherland and Bernard Wheelan. Any Photographs or Race Results would be of great interest. The car carried registration 6751 RO and I believe it was enterd in the 1961 and 1962 Goodwood TT under the RAF Motorsports Association banner , but I can find no details on if it started these races. 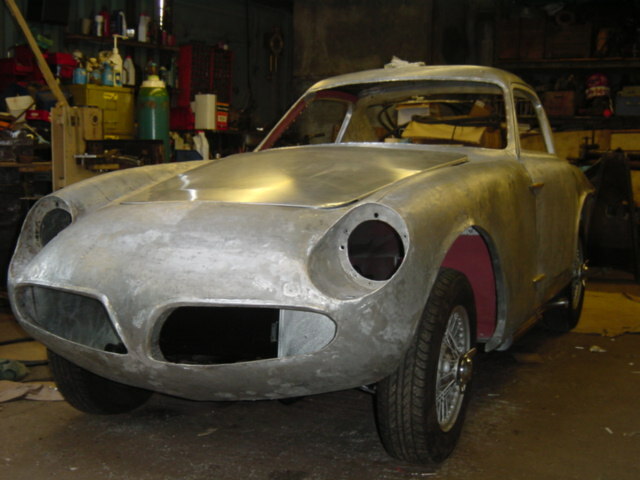 The car was a project between K.W Mackenzie , Alexander Engineering (Michael Christie) and it is thought Tim Fry and Mike Parkes also had a hand in the design of the body. I believe it was rolled at Rufforth in 1963 (April?) but can find no Rufforth programmes or reports to support this. The car is basically a Turner Sports , with a unique Williams & Pritchard bodyshell. The car is currently at an advanced stage of restoration , after we found the remains in a barn in 2003. Any Information apriciated - If I can work out how to do so I will post a picture. Just found this new Williams & Pritchard register that may Interest Lotus & Sebring sprite enthusiasts. My thanks to Mark Shannon for this image which has the Alexander GT in the back ground on another Atlas F1 thread. Fantastic! Any more pictures or information on this car that I am rebuilding would be very much appreciated! I too am interested in Wing Commander K.W (Mac) Mackenzie, due to his Sprite driving exploits. Although I have it sitting here in front of me, I have yet to get the time to read it. Although not relevant to your Turner GT question, you can see an image of his Mk1 Sprite at Mallory in 1959. If you have any photos or information relating to Mac Mackenzie during this time, I would most interested. I have quite a bit on 'Mac' and his racing exploits. He is still with us , Well into his 90s now. I will see what references I can find to his Sprite. He went into an AlexanderTurner MKI (208 JJH) for 1960 (Autosport Championship) abd then into the Alexander Turner GT for 61 & 62 seasons building the car to Appx J regs. For 1963 he ran a Turner 1650 Cosworth (444 RAR) and ran this car in the 63 TT at Goodwood. According to John Baggott, although Mac Mackenzie he is still with us, he is (I believe) in a home and is no longer able to remember things (this is third hand information from his Ken's wife via John so there may be a bit of Chinese whispers). His Sprite is long gone as far as we know. Sorry for my ignorance but the Turner hard tops look exactly the same as Frogeye tops. Are they the same? Also although the bottom of the windscreen is a completely different shape, the top and soft tops look identical on your website are they? Finally, it's a small world as I believe that you've been in contact with Tim Saunders of the Williams & Pritchard Register. I know Tim very well. I have no wish to rain on your parade or frustrate your research, but the ease with which you appear to post old photographs suggests a fairly relaxed approach to copyright matters, unless you own the rights to all the photographs which you post here and on your website. I recognise that some have been printed in magazines over the years. Hi Gary , I have had some correspondance with Mac Mackenzie over the last few years , However I understand he is in a home. Sadly he did have a couple of Strokes over the last few years - so I understand. anyway. I guess he would be around 94 now. I will let you know if I find any reference to his days racing a Sprite. I think Mac also raced an MGA in 1958 , and also had a few outings in Minis - Usually post 1960 entered under the RAF Motor Sports Association of which Mackenzie was a founder member. Sprite MKI Hardtops Softops do fit with a mild modification , The Windscreens are 'Turner' although the upper frame is as Sprite. Indeeed we have been in touch with Tim Saunders of the Williams & Pritchard Register , He paid my father a visit this weekend. Tim is doing a great job raising the profile of W&P and documenting the cars. Just thought I would share this image of the W&P bodied 1961 Alexander Turner GT Coupe Prototype which was raced by Wing Commander K.W Mackenzie. I am pleased to say that after a long and extensive ground up restoration the car is very close to being ready for MOT. I have also just sent pictures to Wing Commander Ken Mackenzie who is alive and well I am pleased to say. 'Mac' raced the GT in the 61 Peco Trophy amongst others and it had an entry in the 62 Goodwood TT although I cant find evidence that it started. Any historic photos or Information on this car that might still be out there would be of great personal Interest. [B]'Mac' raced the GT in the 61 Peco Trophy amongst others and it had an entry in the 62 Goodwood TT although I cant find evidence that it started. The car was indeed entered for the 1962 Tourist Trophy, but it neither practiced nor, of course, started the race itself. if you want to use any photographs which I have given you over the years, please feel to do so, I'm not so petty as to claim any copyright, nor would I claim a fee. Its all for the good of the enthusiasts. Edited by David McKinney, 12 June 2009 - 09:07. Just came across this interesting discussion on Ken MacKenzie. I'm the owner of MacKenzie's Alexander-Turner (208 JJH) as referred to by my good friend Russell. I've been in correspondence with Ken in the period 1994 - 1996 when he lived on Cyprus. He sent me quite some information on my car and his other Turners but also mentioned his experiences with the Sprite in the years before 1960 when he started racing Turners. I went through his letters and came across the following information on his Sprite. 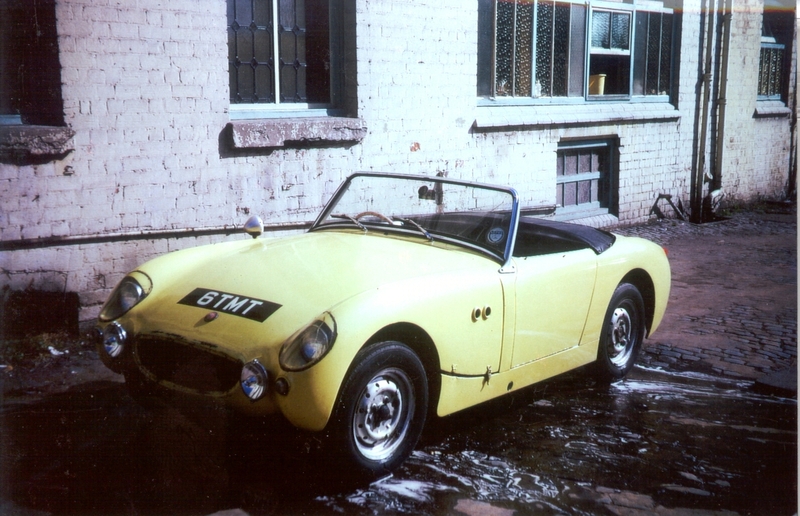 Letter Dec 1994: "We also ran the first Austin Healey Sprite Team, works supported with engines by Downton Eng. (the late Daniel Richmond) who, by the way trained Jan Odor who now has a very successful business in Salisbury, England." Letter Feb 1995: "Finally, unfortunately we were all not so publicity conscious in the late 50's and 60's or I would have better records, my full record of all events, placing etc etc have been lost, this included the works supported MG 'A' (1600) and Team Sprite. Myself, Paddy Gaston and Chris Tooley, when Marcus Chambers was Comps. Manager at Abingdon. Great days, great people". Hope this information is of interest to you.